The Handyguys discuss ways to save money during this upcoming winter season. Part 2 of 2 on energy saving tips. Our first order of business is to respond to Phil’s followup question about replacing his rotted out garage doors. Phil wanted to know if it is really worth buying insulated doors when the rest of his garage is not insulated. Handyguys Brian & Paul discuss pros and cons in the podcast. Then the Handyguys talk about how to dispose of a broken CFL (compact fluorescent light). We discussed this last week but a listener sent us a great link to an EPA site that summarizes how you should clean up after one of these mercury containing bulbs break. Your first response is to remove kids and pets from the area and open the windows. Thankfully, no hazmat team is required! For details on cleaning up, check out http://www.epa.gov/mercury/spills/index.htm. Now on to energy saving tips.. In part 1 of our program, we focused on saving electricity. But half of the typical homeowners energy consumption is taken up by heating and cooling costs. With the winter arriving soon, these costs could rise to $3300 for the average oil heating home owner and $1600 for natural gas customers. 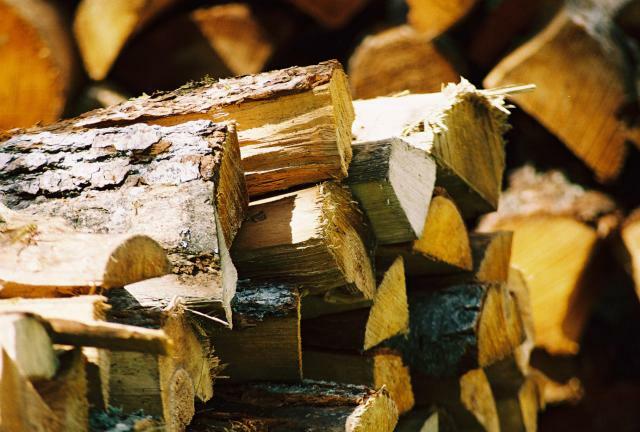 What can be done to save some money on heating your home? Don’t despair… prepare! 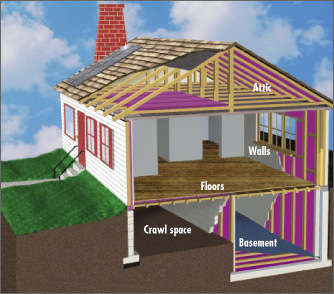 Consider adding insulation to critical areas such as your attic and elsewhere. Listen to the podcast for more details. can save you significant energy. 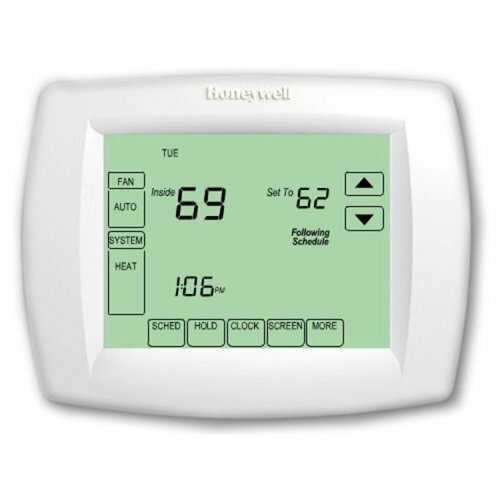 Setback thermostats automatically adjust the temperature at different times of the day. The more you can turn back the heat the more money you can save. How much will you save? Listen to this podcast for the answer! to heat our houses. In fact, many older fireplaces could be dangerous and might need to be sealed off or repaired. Consult a chimney inspector if you are unsure. So, what can you do if you have an old, inefficient, fireplace? Consider a sealed insert. The Handyguys discuss. Lastly – The Handyguys will be recording from the floor of The Philadelphia Fall Home Show On September 26th. Come find our table at 7:30PM on Friday and say hi! Great article guys. Who doesn’t want to save money? Especially during the winter months when holiday gifts eat up a chunk of many homeowners bank accounts. I would suggest being more efficient first when considering saving money heating your home. To be more specific, get a Home Energy Assessment. This is a detailed analysis of your home with recommendations on where to improve items such as insulation, heating, etc… The recommendations will have the cost along with the payback period. This allows you to know what to change. You could easily do a whole show on the topic. Have fun! Come on guys, The line of conversation in your webcast lead right into talking about what to do with a fireplace that is cold and drafty. But you didnt talk about chimney balloons or top sealing dampers or any other way to stop the heat from bleeding out of the house. This was a real missed opportunity! Not many people have heard of these types of fireplace accesories, but I can tell you from experience that they want to know about them. OK Chimney Balloon Guy – Point taken. We were talking about drafts caused by a fireplace in operation burning the air your furnace has heated. Maybe we need to delve deeper into cutting down drafts when you are not burning a fire. The Chimney Balloon looks like an inexpensive way to do just that. Traditionally a damper is used. If an integral damper fails its very expensive and involved to repair quite often. There are other solutions but none at the price point of a chimney balloon. Both the Handyguys have direct vent gas fireplaces so we have nothing to try a chimney balloon with. Maybe we could do a show in conjunction with a loyal listener with a traditional fireplace chimney and give this thing a whirl. Any takers? Drop The Handyguys a line using our contact form. Some nice information on saving on the heating costs. 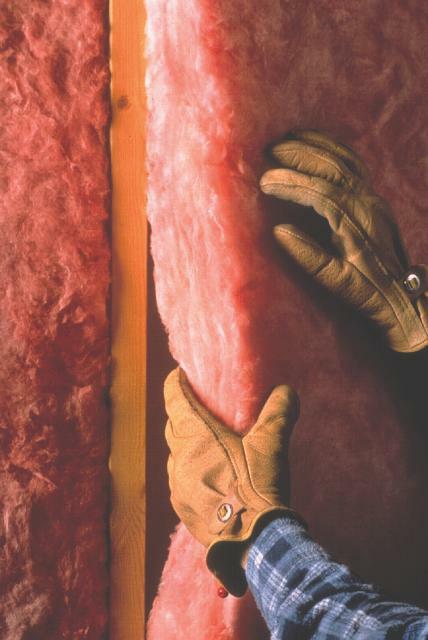 Another big saving in houses that are generally cold is wall insulation. Makes a big difference in keeping the heat in a room once you have got it heated up. Of course how you heat it does affect the cost in general but its nice once an area is warm to keep it as warm as possible without having to maintain a source of heat for it.